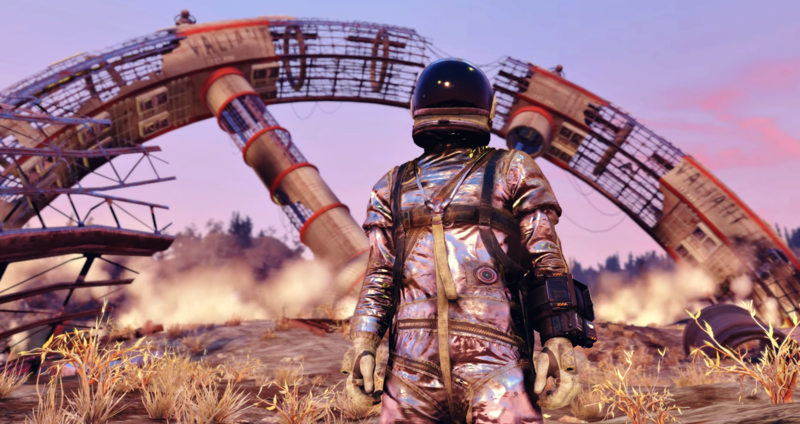 The Spacesuit is a unique piece of armor or jump suit with straps along the back and front with pockets along the entirety of the suit that can be found in Fallout 76. 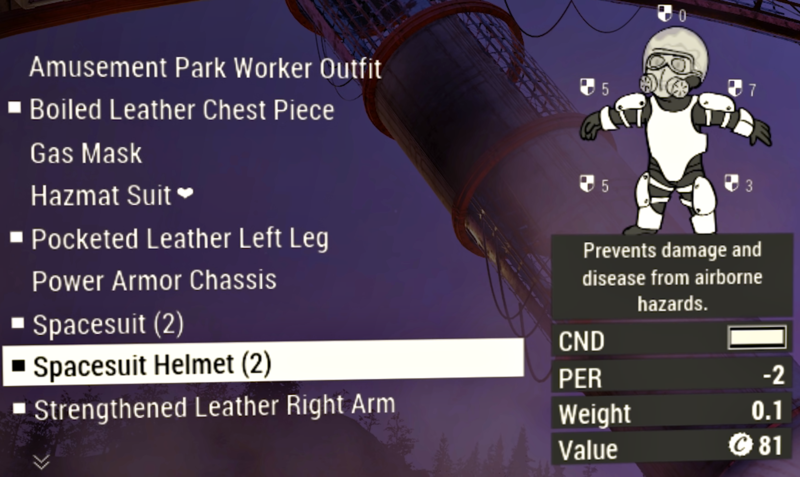 Along with the spacesuit, players can also get a spacesuit helmet, which prevents the player from receiving any kind of airborne hazards damage and diseases but its lowers perception by 2 points as well. 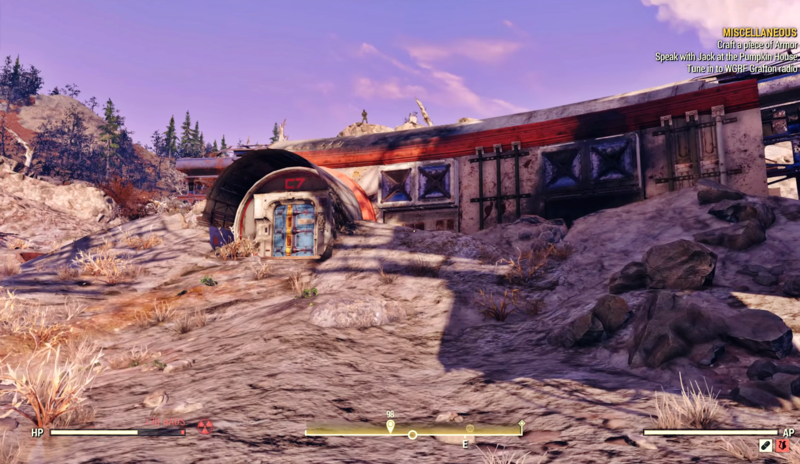 This is a quick guide on the Spacesuit Location in Fallout 76 and how to get it. 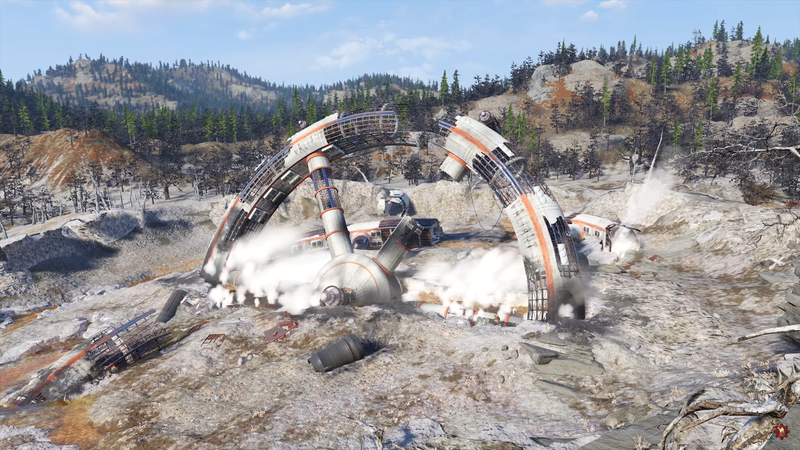 In order to obtain the Fallout 76 space suit you need to visit the crashed space station that is located on the Northern part of the Toxic Valley. Do not forget you equip yourself efficiently as you would have to face a plenty of Scorched and Super Mutants in that area. The image below will give you an idea of how the space station looks. Once you have reach the crash site keep walking towards the broken off sections on the southern side of the area. 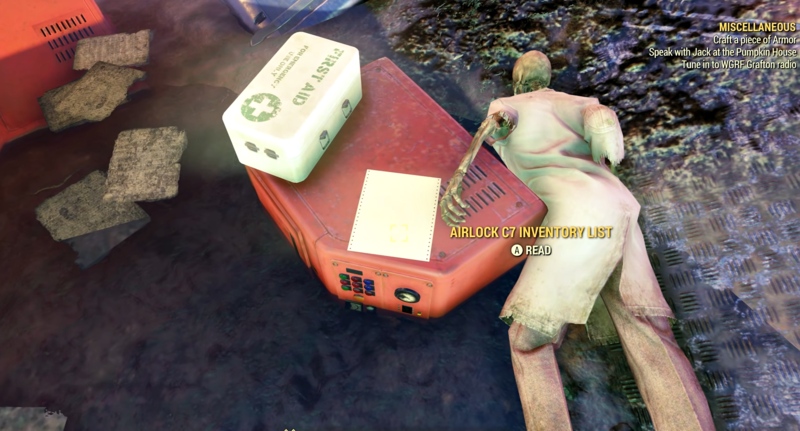 There you will find a dead scientist and a note next to him. That note will give you the access code to the Airlocked Door C7. 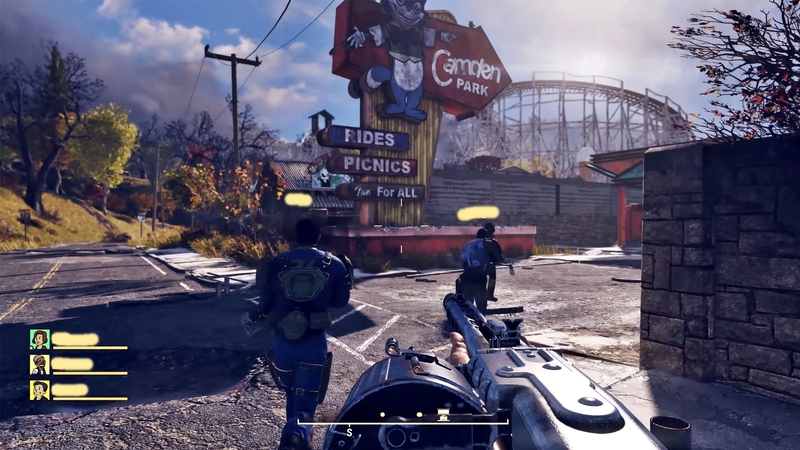 The code is 111418 which actually the release date of Fallout 76 so this is kind of an easter egg. The note will also tell you what you can get behind the C7 door ; Space Suits, Space Helmets and Oxygen Tanks. Now, in order to find Airlock C7 you need to walk toward the northern side of the crash site and there you will find another broken piece of the Space Station. You will see that there is a Blue Door there and it has C7 written on top of it. Next to the door there a keypad, simple enter the access code 111418 there and the door will open. Once you are inside the Airlock just look towards you right. You will a bunch of lockers scattered on the floor. And there you will find two Space Suits and two Helmets. The image below will show you the stats of the Space Suit Helmet. The Division 2 – Loading Times Bug – Game Is Taking Too Long To Load – Is There A Fix?